Lisbon is one of my favorite cities. I have been there more than 3 times and I could go every month, just to spend my time walking its narrow streets, eating fresh bacalhau and drinking my coffee watching the ocean. If you haven’t been yet to Lisbon and you are thinking that is a boring city it’s time to change your mind. In the center. The best area, in my opinion, is Baixa. It’s in the city center, close to the metro, you can go walking to the major hotels, to the museums, to the squares, you can go out without taking the metro or the taxi and at the same time, it’s very quiet. Last time I stayed at Hostel4u, a nice Hostel that cost me 80€ and had all the basic: wi-fi, air condition, private bathroom, 24-hour reception and super kind stuff that gave me free maps and some local tips. 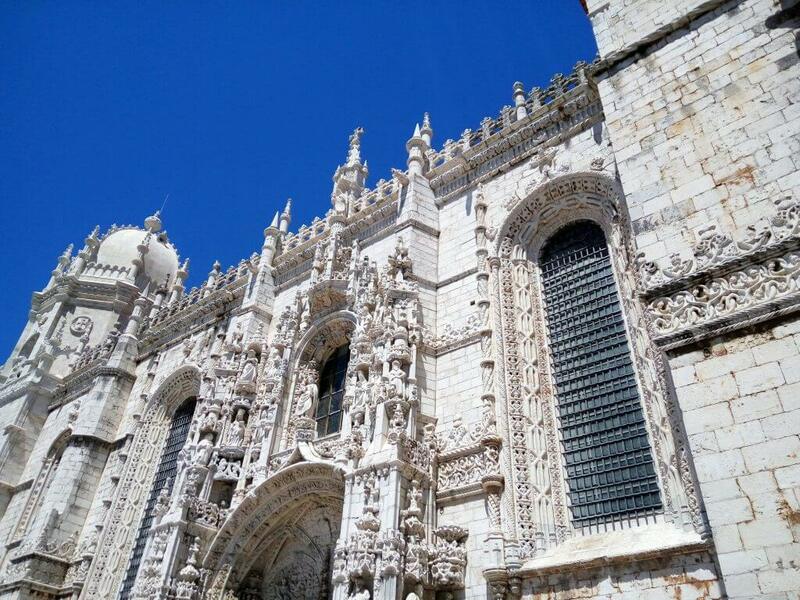 What is there to see in Lisbon? 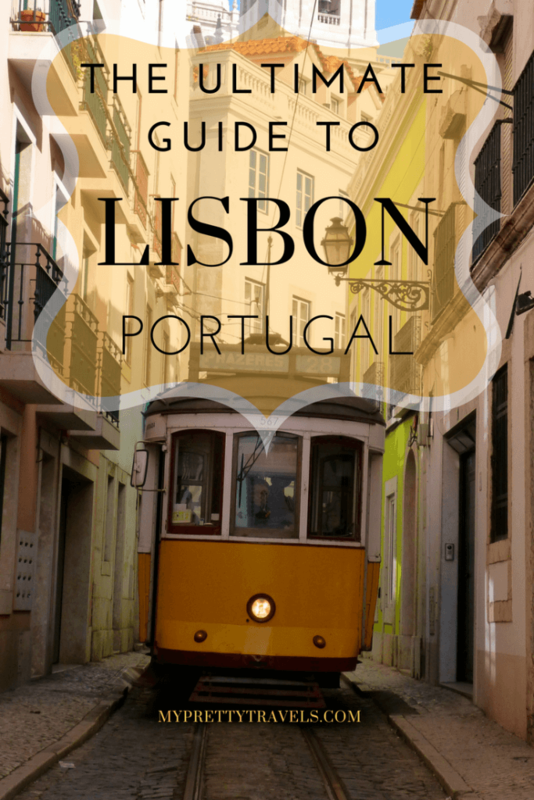 The list of the things to see and do while in Lisbon, Portugal is pretty huge. Even if you stay up to one week you will discover that there are so many places that worth visiting. I am that kind of traveler, that doesn’t like to get up early, like at 6 a.m just to have time to explore the city and take one thousand photos. I like taking my time, admire the city, get “the vibes”, meet the locals, enjoy the food and create memories. 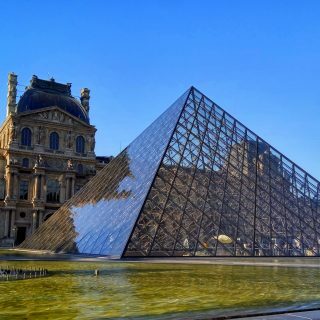 I don’t like to visit the landmarks just for 5 minutes, so I could say “Been there!”, so I always search for the most beautiful landmarks and try to visit them, during my precious time of traveling. 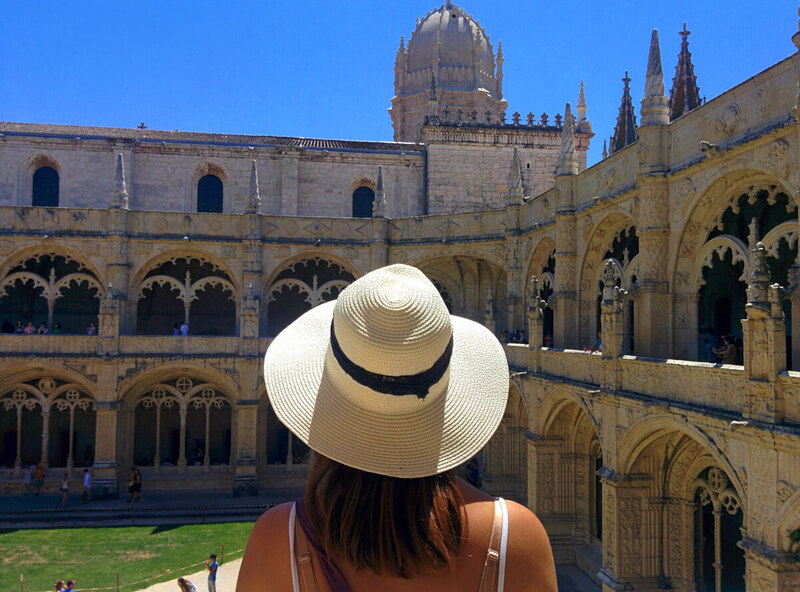 If you are like me, here are Lisbon’s best things to see and do! From Lisbon city center you can take the train and head to Belem. 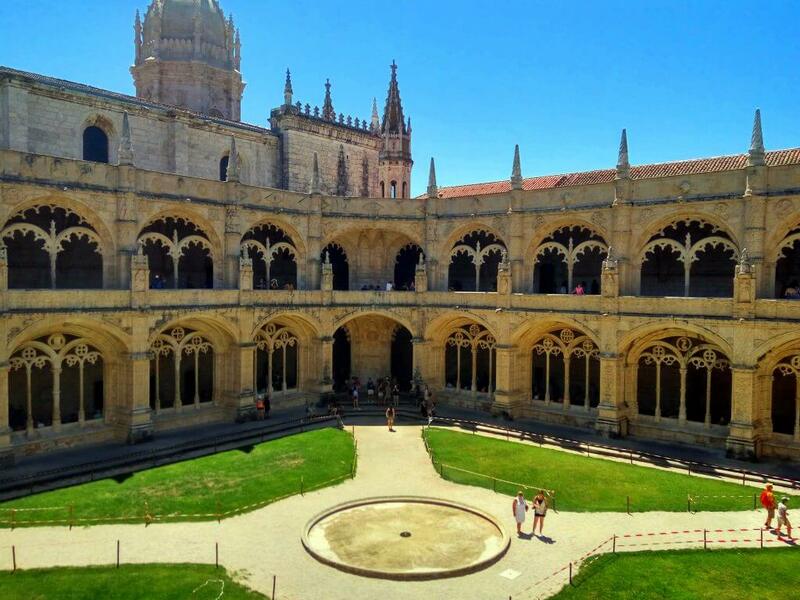 There is one of the most beautiful monasteries in the world: Mosteiro dos Jeronimos. And I am not exaggerating: it’s so unique that is actually a Unesco World Heritage Site. Visit the Monastery but also the beautiful garden: I reassure you that you will feel like you are in Portugal’s Golden Age. Once you have seen the Mosteiro dos Jeronimos you should head to the tower of Belem, another top-tourist attraction in Lisbon. This tower is a 16th-century fortress and was dedicated to famous Portuguese explorer Vasco Da Gama. 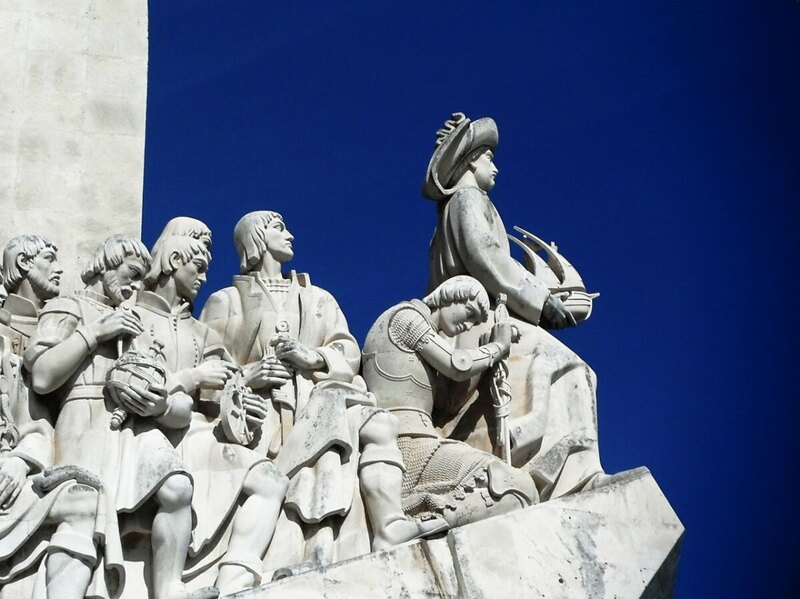 If you are still in Belem and you haven’t felt yet this feeling, like you have somehow time-traveled, the monument of the Discoveries will do the trick. It’s an exact spot where the ships were leaving in order to explore new countries and exchange goods. Where is it? 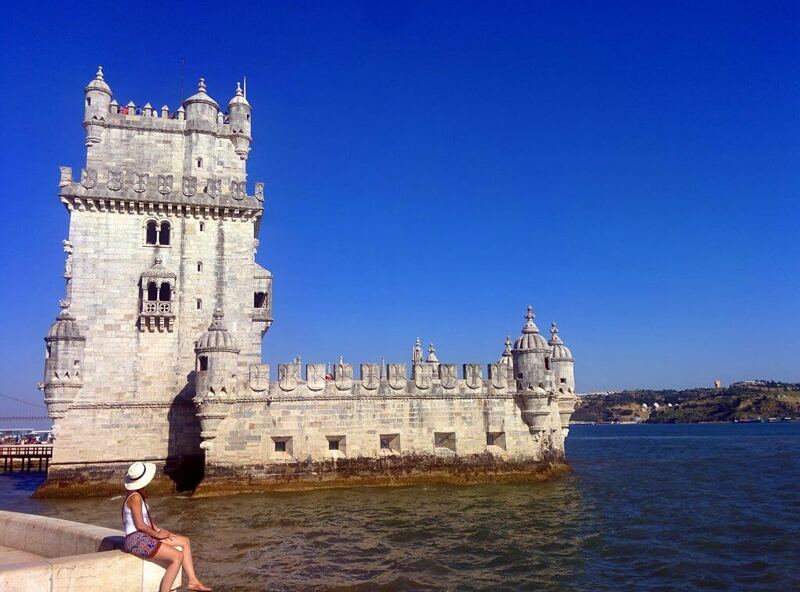 Just 5 minutes walking from Belem Tower! How to get to Lisbon’s castle? Just take the famous tram 28 that goes up to the top. I should warn you though: during the summer it gets very crowded in this tram so you better walk to the top or take a taxi. 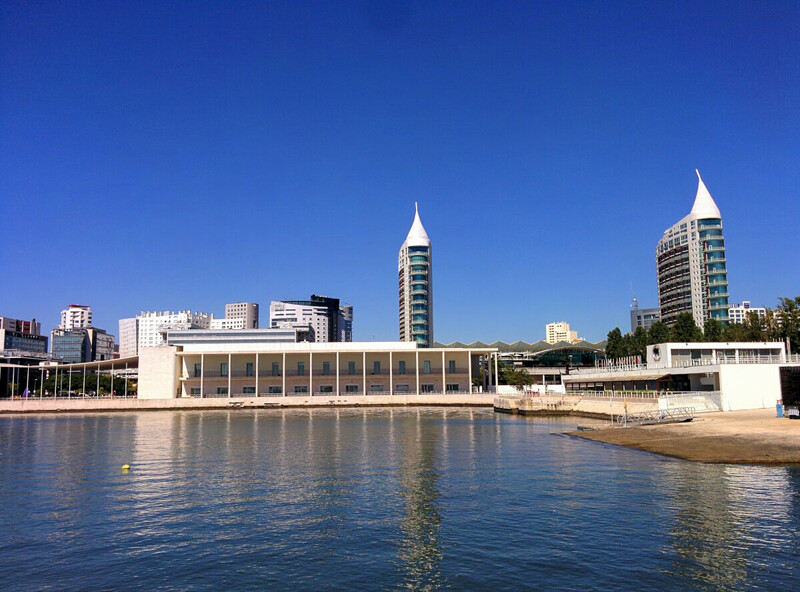 Another place worth visiting while in Lisbon is Parque das Nações neighborhood. Why did I put this in my Lisbon’s travel guide? Well, it’s super modern and the architecture is just so special. 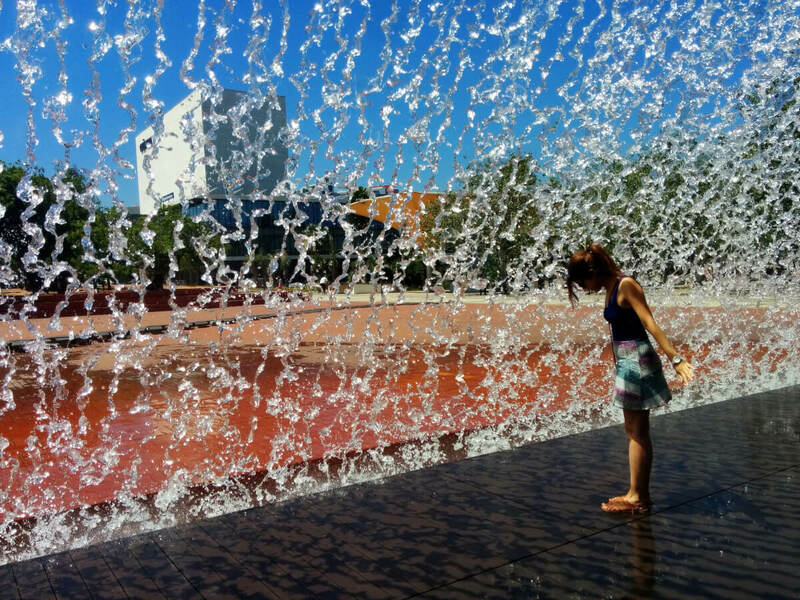 Here Portugal organized Expo 98’. 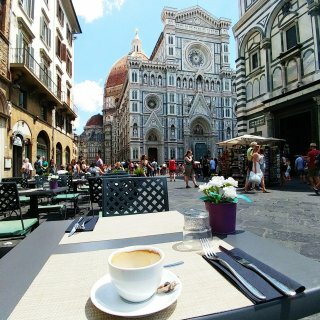 Take some time and explore this area, take a coffee or rest for a while. Lisbon is not London, you don’t have to run from one landmark to another, take your time, notice this part of the city and..play with waters! 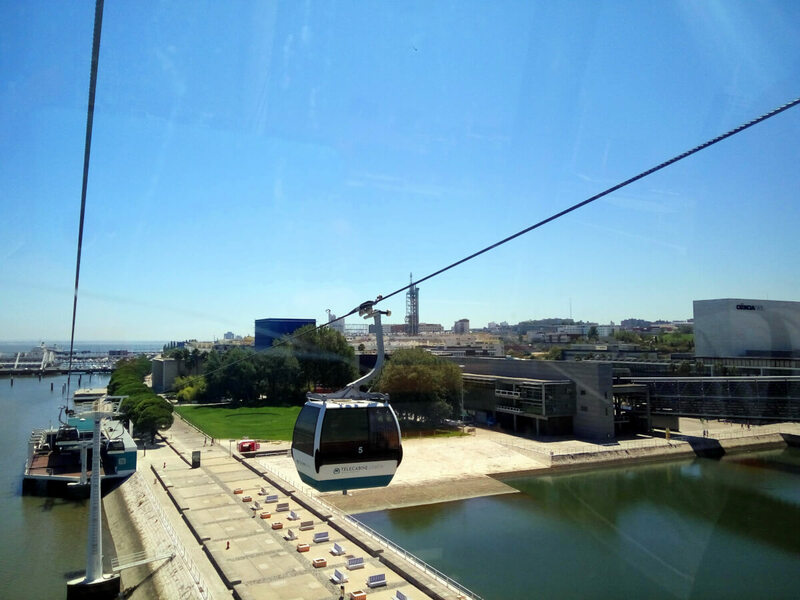 or take the cable-car for an amazing view of the city. The Oceanário de Lisboa, is the second biggest aquarium in Europe. I know that many guides do not include it but trust me it will leave you breathless! 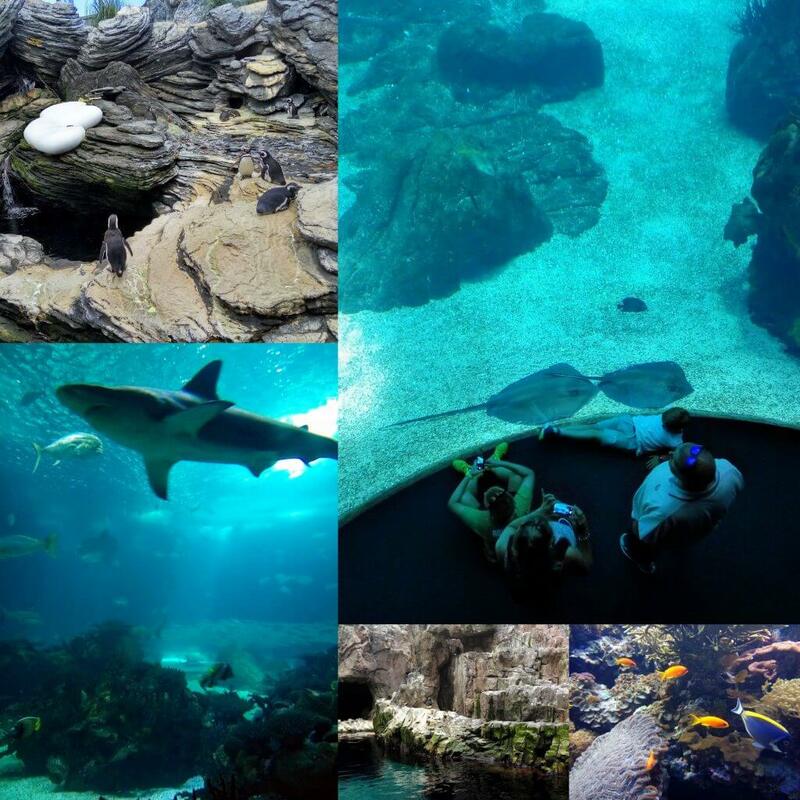 It’s not for kids, it’s for everyone: you can see fishes from all over the world, penguins, sharks, and otters. The otters are SO cute! My tip: the queue to Lisbon’s Oceanarium is always huge. I have been there twice and I was pretty lucky that I have bought my ticket online and I didn’t have to wait. Useful to know: you can buy online the tickets for the Oceanarium from this link or from these below. You should absolutely go to listen to Fado in Alfama neighborhood. Fado is a traditional Portuguese type of music: it’s very melancholic and special. 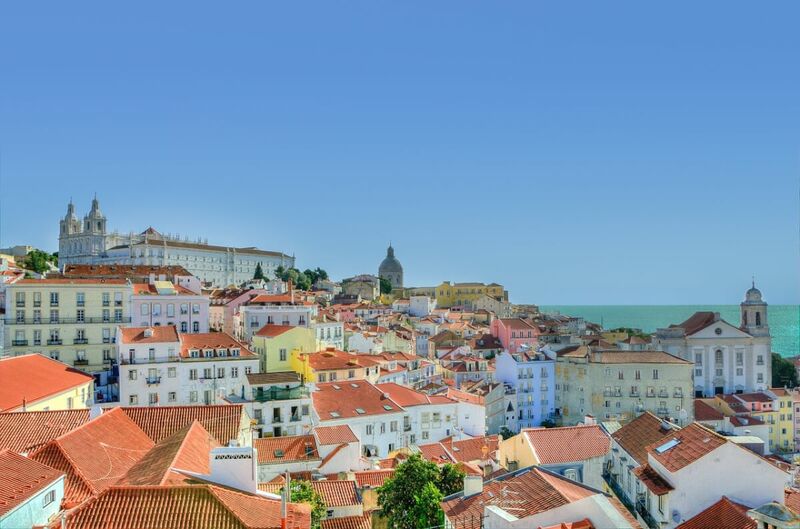 I know that listing fado live isn’t actually cheap so if you are on a budget trip, just walk around Alfama block, admire the panoramic view from there and listen to fado music, even if it’s for some minutes. 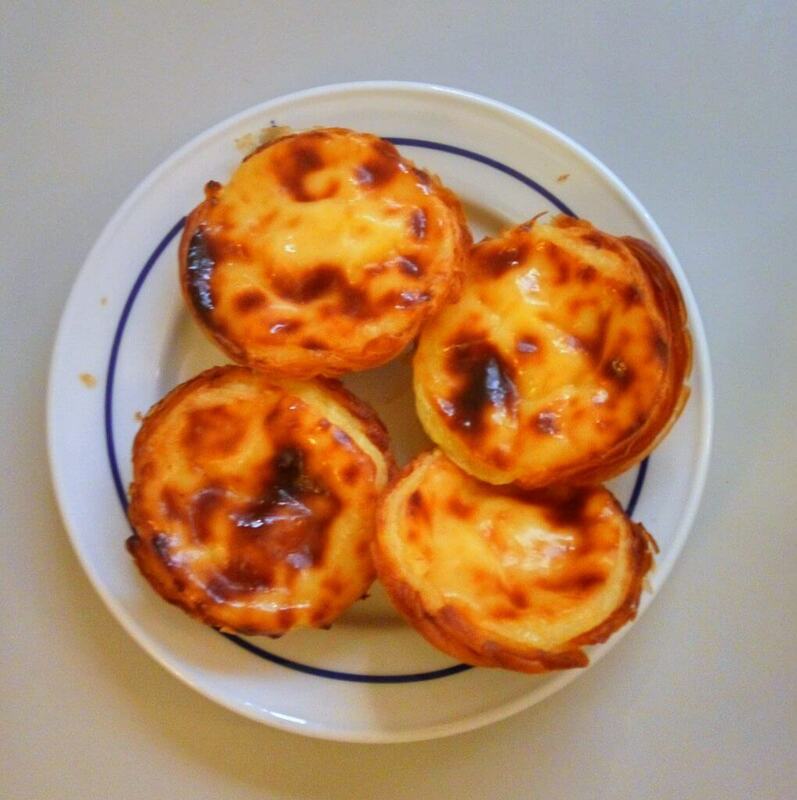 pastel di nata” while you are in Belem, it’s Portugal’s traditional sweet and is absolutely delicious. It costs only 1€ can you believe it? Go to have a drink at Bairo Alto: there you can find all the bars. And YES the beer is extremely cheap. Eat fresh fish: fish in Lisbon costs less than meet. 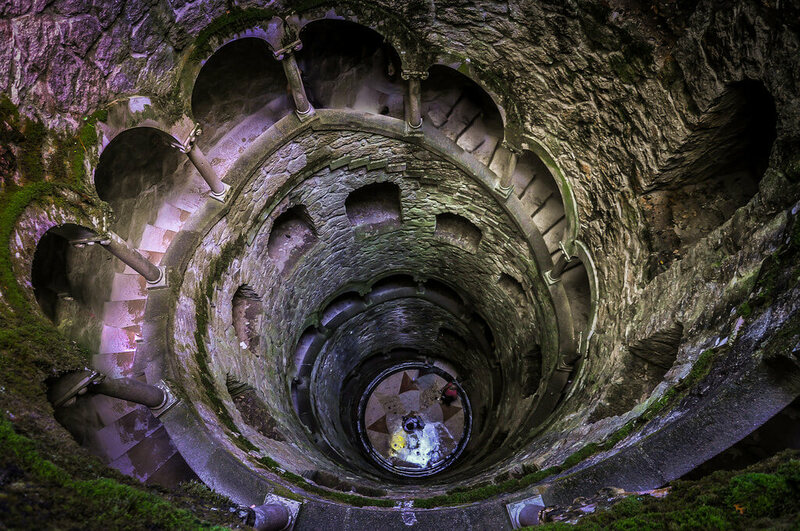 If you have one day free you should visit the fairytale city of Sintra: read my article about Sintra here. Drink also some “ginjinha”, a Portuguese liquor made of cherries and learn at least one word in Portuguese. I advice “saudades”, it’s a word that you cannot translate it into English and it means an emotional state of melancholy. Bulgaria is a European country, very beautiful, but only in recent years, people started to visit and appreciate its beauty.